Interested In Nutrient Dense Food? You arent alone. 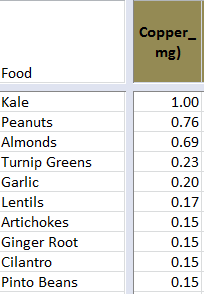 The Nutrition Per Dollar table has been updated to include this measurement. You can download the raw data here. This is probably most useful for hikers who are trying to limit the weight of food. This was my real fascination, what are the most nutrient dense foods per calorie? This is what many people would consider ‘The Healthiest Foods’. 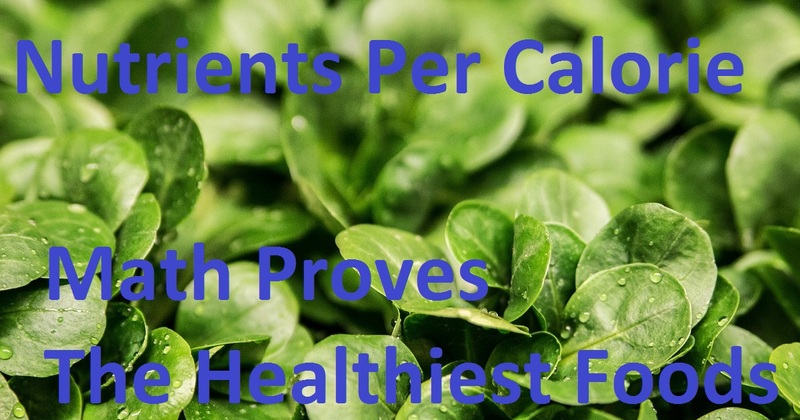 Fresh Green Veggies top the list of highest Nutrients Per Calorie. Peanuts and Almonds are relatively light weight and are packed with Nutrients. Fortified foods like Cereal and Flour scored high in Nutrient Per Gram, but low in Nutrient Per Calorie. Anything shown on the list is in the top 30% of foods studied, if your goal is to maximize, consume more foods on the list.